HTAT UMEDVARO A ATAKI PADELI HTAT BHARTI HIGHCOURT MA CASE KARYO. CHECK COURT CASE DETAILS. 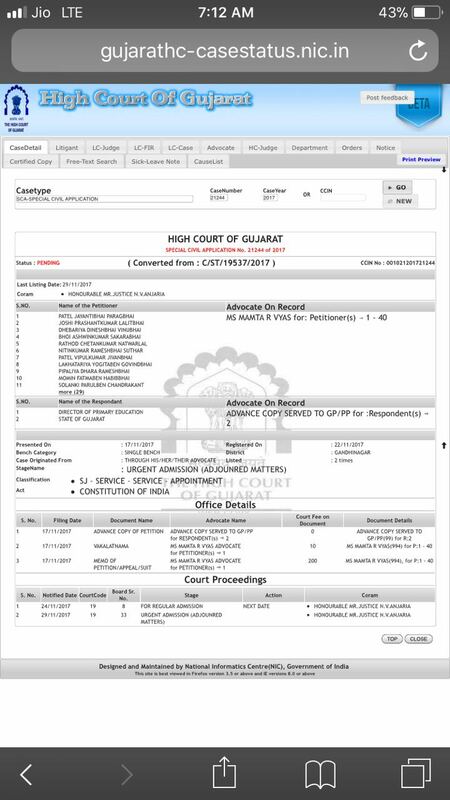 CHECK COURT CASE DETAILS.AAJE COURT MA JUDGE GERHAJAR RAHETA AAVTIKALE CASE NI SUNAVANI THASHE. CLICK HERE TO CHECK THIS CASE DETAILS.